Happy 3rd day of the 12 Days of Christmas Crafts! I'm obsessed with wreaths for Christmas. For some reason, I always have to buy more and more wreaths every year. I have waaaay more than I ever need or would use. So, of course, why wouldn't I make a new one? 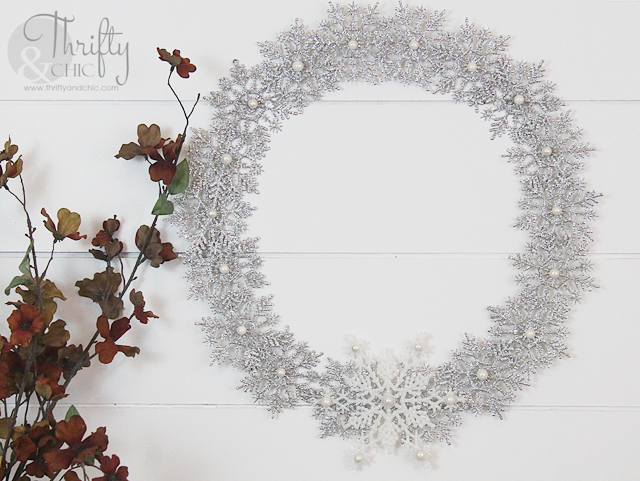 :) This one is just a little different than your average wreath though. It's made using the snowflake ornaments your find at Walmart or Target. You can make a decent size wreath just using one of these boxes. 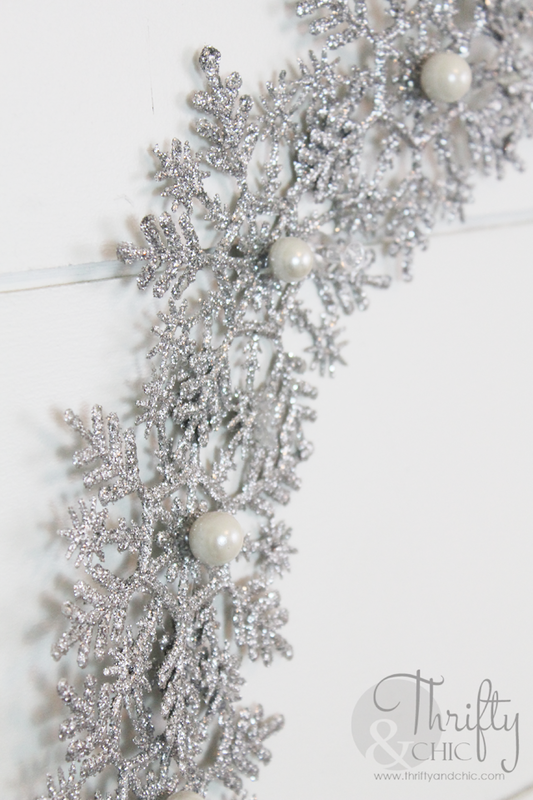 Then to added some cut balls from some beaded garland and glued them onto each snowflake. And I added a big white snowflake at the bottom just for fun :) I love the sparkle this gives off. To hang it, it's better to hang it by two points rather than just by one on the top. Where the line goes the through the top of my wreath is where I just put some pushpins to hold it up. When creating the wreath, I realized that it would also look wonderful as a 'charger' for a table setting. 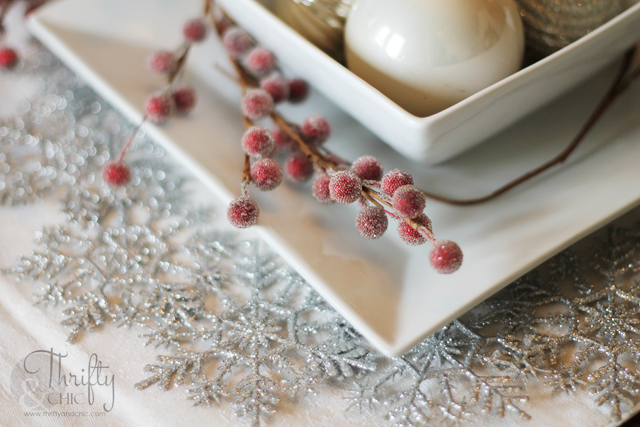 You can make a ton of these for under $10...perfect for holiday entertaining! Super cute! I'm thinking these would be adorable on a front door maybe inside a traditional wreath! Love it! WOW!Amazing! It realy looks wonderful!!! 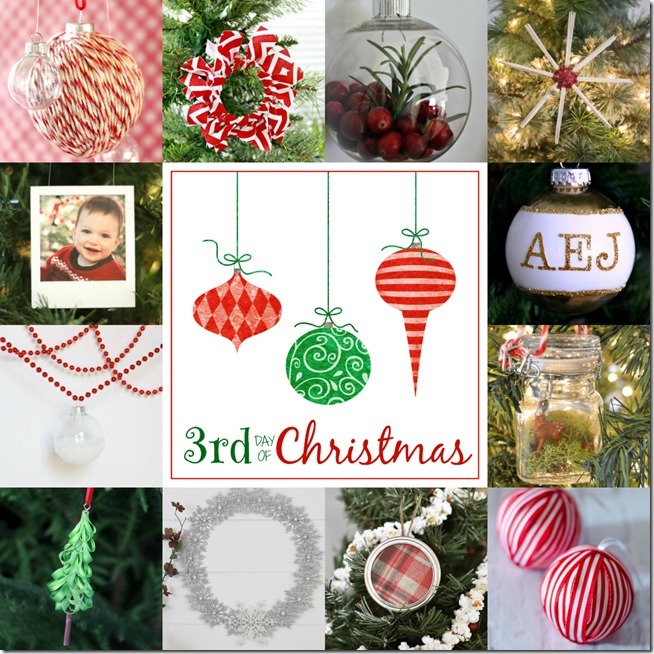 Believe it or not I have a ton of these ornaments that I picked up at The Dollar Store last year! 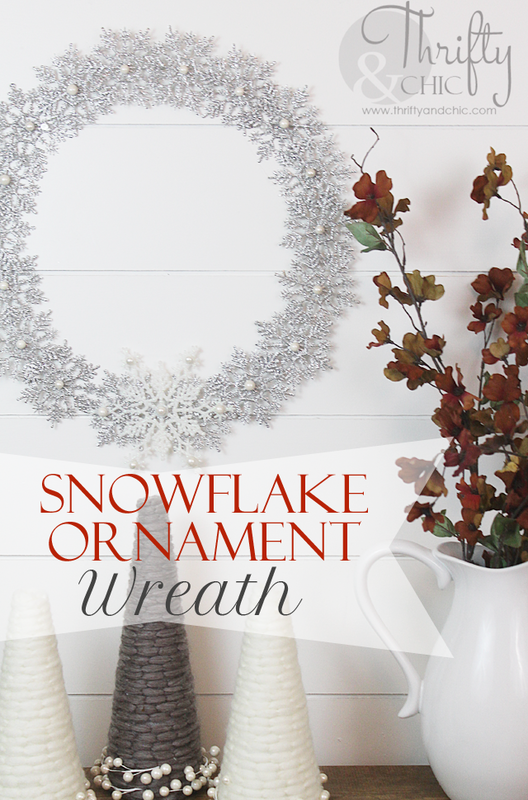 I've used them for a few projects but hadn't thought of a wreath! Lovely! That is beautiful! 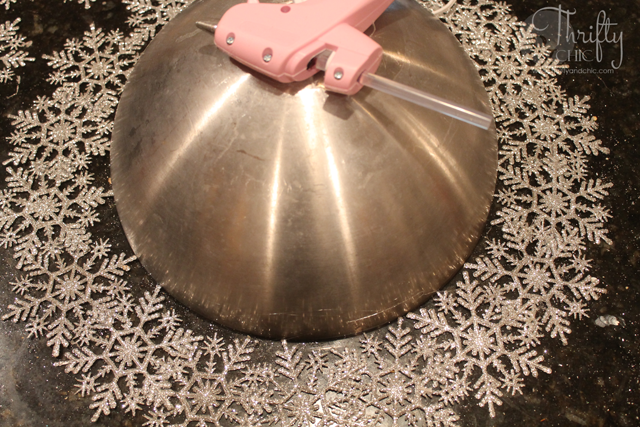 Smart idea to use a bowl as a guide. Wow, this is gorgeous! Love it! Hi Alicia - this is just beautiful! Visiting from i heart naptime and pinning! Have a wonderful weekend! Lovely wreath! 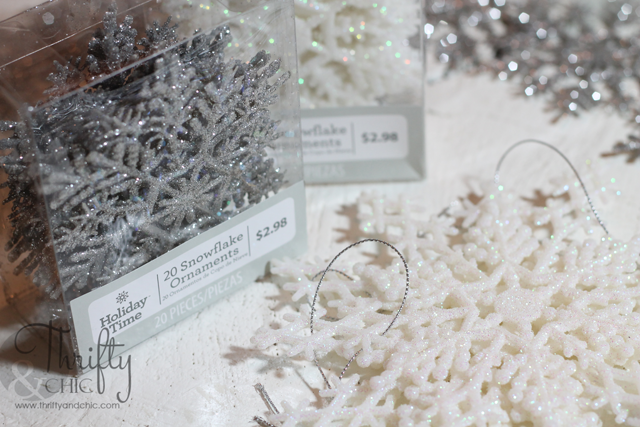 I used those same snowflakes on a wreath I blogged about last week! Great minds think alike, eh? Merry Christmas!